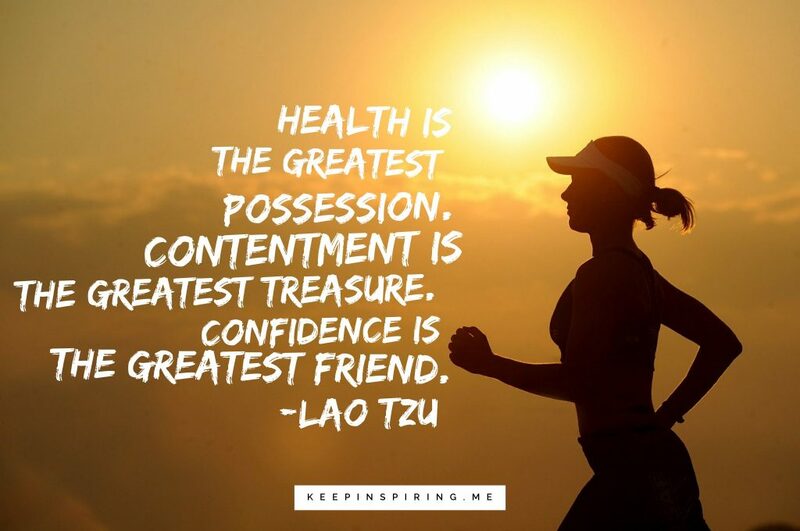 Habit change is one of the most difficult things we can possibly do. The reason for this is simple: our brains and nervous systems have evolved to make sure that we stick to familiar patterns of behavior. When these habits include a chemical addiction, as well as a psychological one, the challenge we face becomes even more intense. Smoking is one of these addictions. 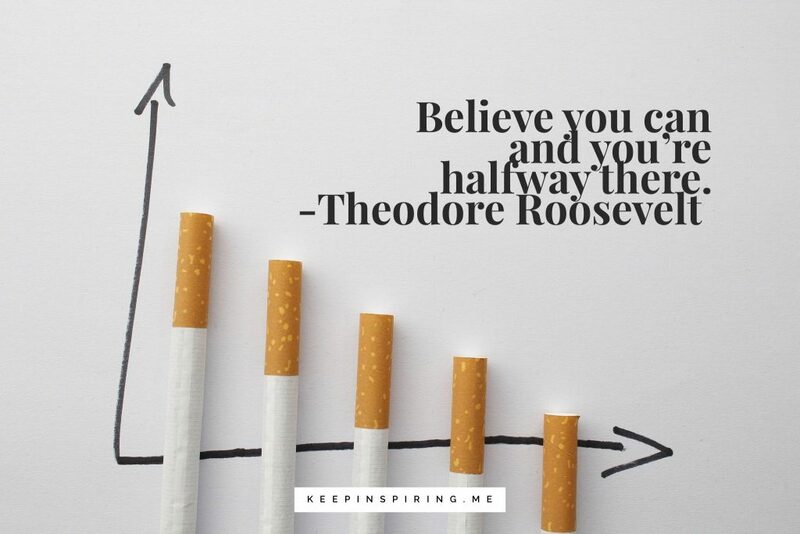 If anyone ever tells you quitting smoking was easy, they aren’t telling you the truth. 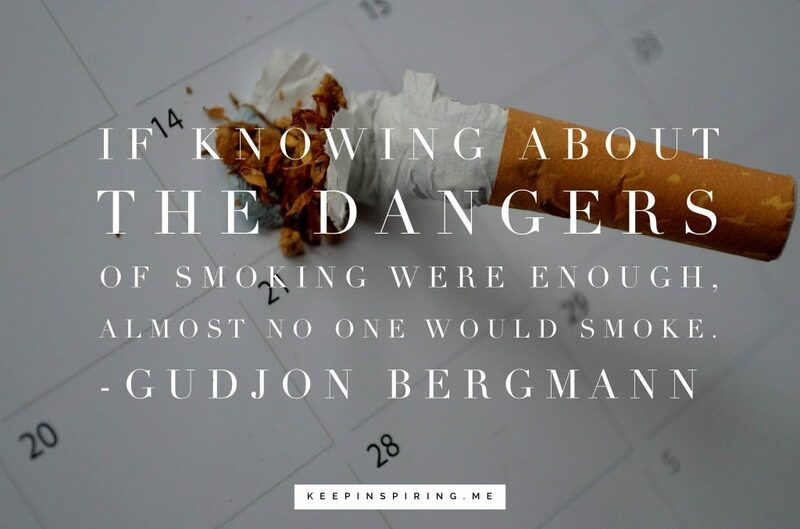 In fact, most smokers report that quitting smoking is the hardest thing they have ever done. 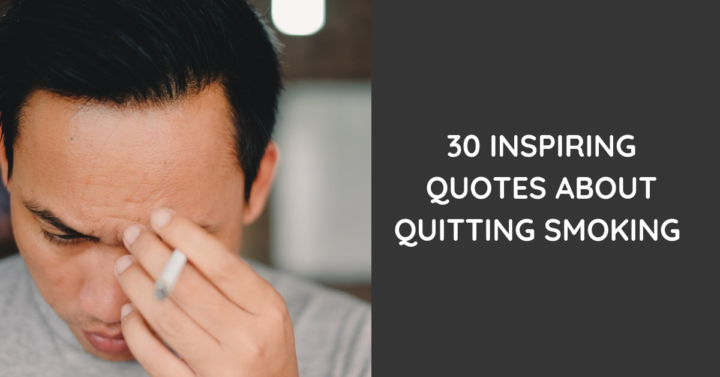 Fortunately, there are many scientifically proven methods for quitting smoking entirely, or significantly lowering the number of cigarettes you consume every day. Taking the important first steps, as well as maintaining your confidence throughout the process, can be greatly helped by a sense of community. If you decide to stop cold turkey, you may decide to have one final cigarette and make a ritual significance out of your quitting. 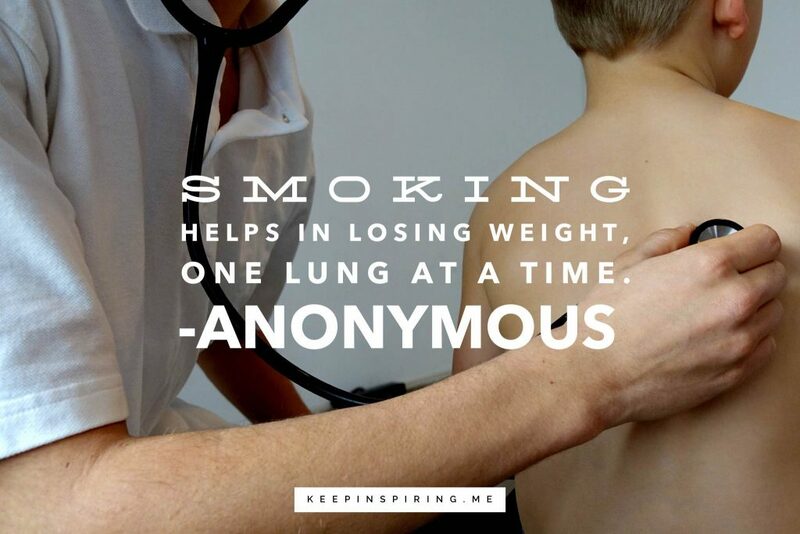 Set a date and time, and try to replace your smoking habit with another, healthier habit. Joining a gym with a buddy, or signing up for a group such as a running club, will give you added incentive to stop inhaling the toxins. 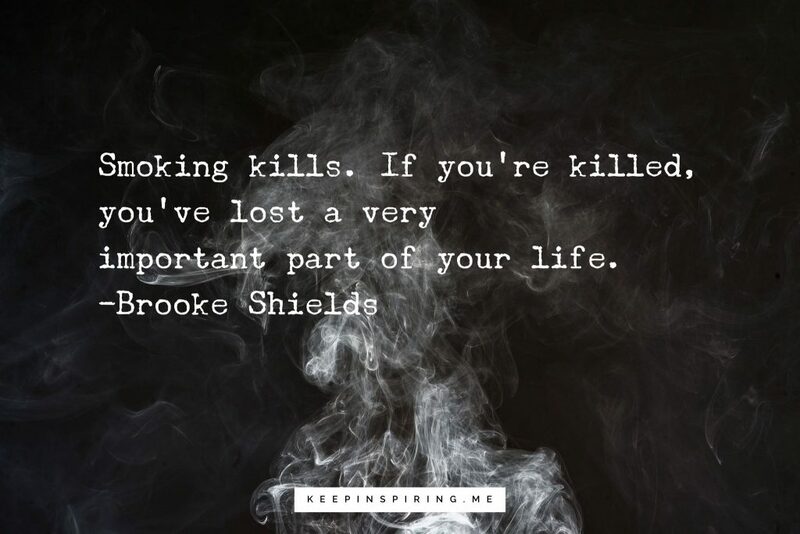 It also bolsters that sense of community that keeps you accountable for stopping smoking for good. 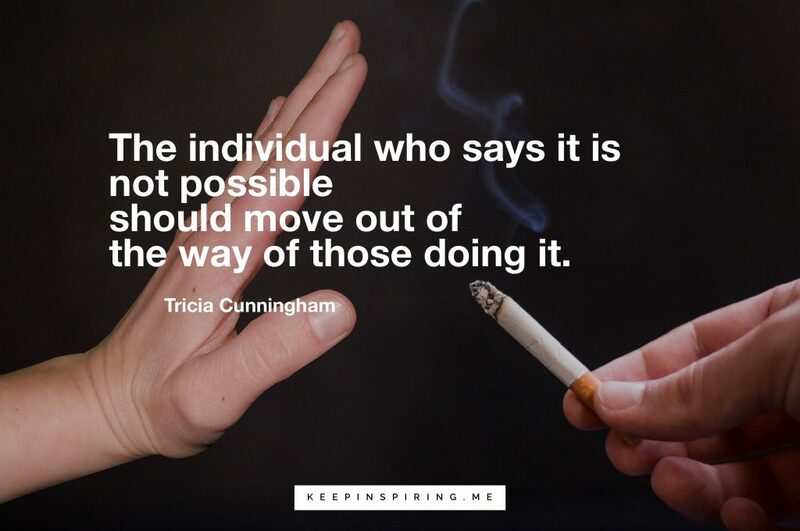 The following quotes are here to encourage those of you who are trying to quit smoking, boost your confidence, or help you support a loved one who needs support in the process.